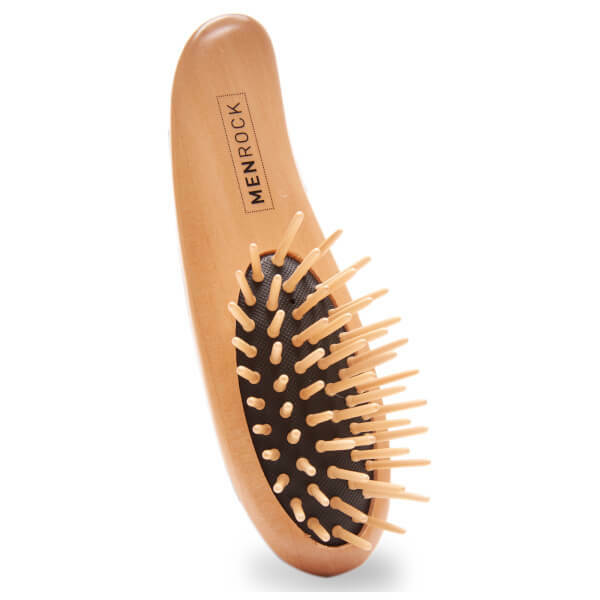 The Men Rock Beard Brush is a must-have tool for a smooth and tamed beard. The fine quality brush features a branded wooden handle and softer, cushioned head with wooden bristles that are spaced at the correct distance to glide through facial hair and gently massage the face without snagging. Distributes your favourite beard balm and wax, whilst its compact size is ideal for travelling. E.N.